Item # 307812 Stash Points: 8,995 (?) This is the number of points you get in The Zumiez Stash for purchasing this item. Stash points are redeemable for exclusive rewards only available to Zumiez Stash members. To redeem your points check out the rewards catalog on thestash.zumiez.com. 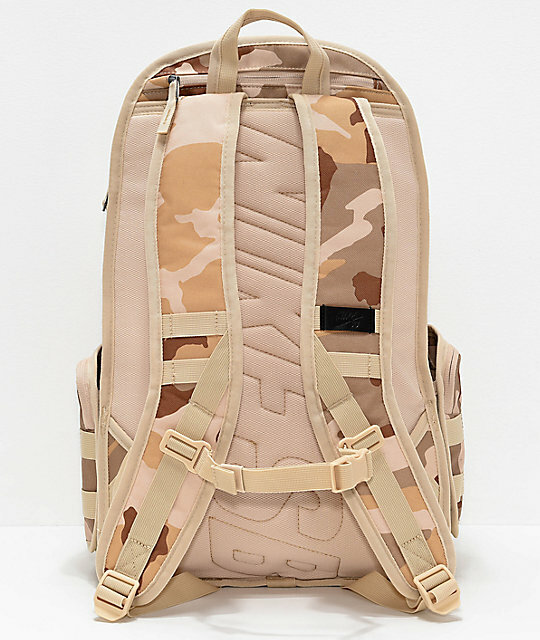 Strap your skateboard onto the RPM Camo Backpack from Nike SB and get going! 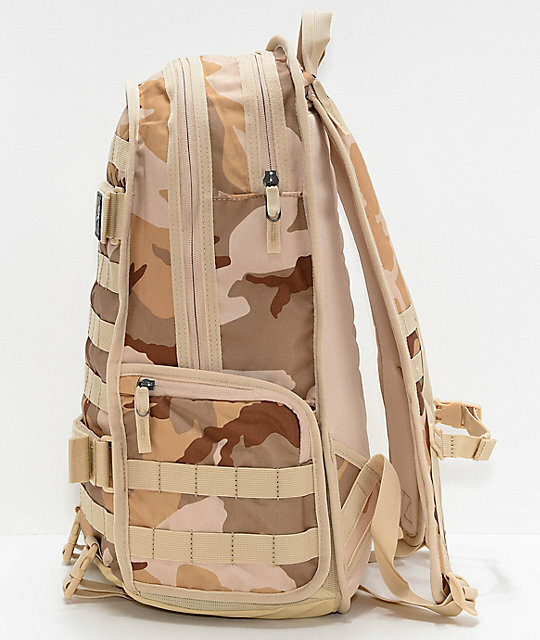 This light brown camo backpack features a durable polyester construction and offers space for just about anything you need for your next adventure. 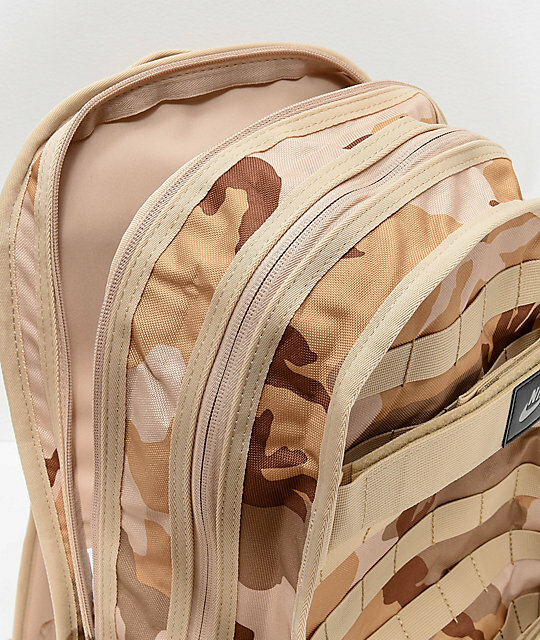 A 15" laptop sleeve, skateboard-carrying straps, and multiple compartment offers ample storage, while the curved shoulder straps and padding throughout keeps things comfortable. 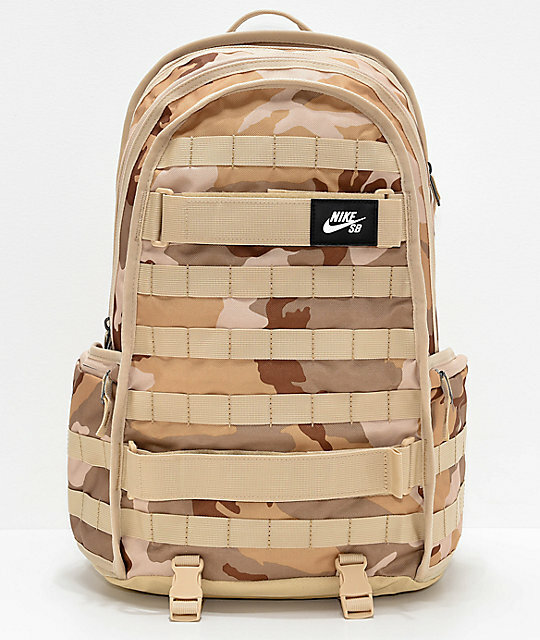 RPM Camo Backpack from Nike SB. Internal sleeve with hook and loop closure. 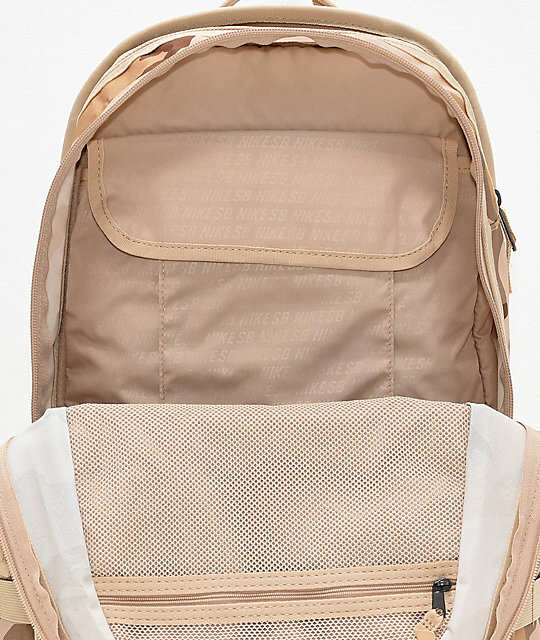 Internal mesh pocket with zipper closure. Separate padded laptop compartment stores up to a 15-inch laptop with top zipper access. Two side water bottle sleeves with zippered pockets. Top zippered tricot lined pocket. Padded mesh lined shoulder straps with sternum strap. Quilt padded mesh back panel. 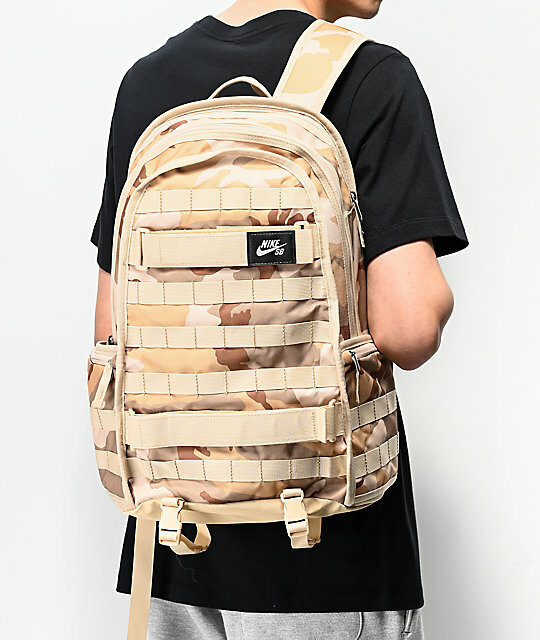 Adjustable dual straps at bottom. Removable skateboard straps w/ hook and loop closures. Stitched straps throughout for storage or style. 21" (H) x 13" (W) x 7" (D) &vert; 53.25cm x 33cm x 16.5cm.